Limited time offer for Home Cleaning in Seattle -- 30% off your first booking! Founded in 2012, Handy is passionate about helping homeowners and tenants find house cleaning services in Seattle. Through the Handy platform, you can book the home cleaning that keeps falling off your to-do list. We’ll help connect you with the best home cleaning services in Seattle. No wonder our customers keep coming back! One of the best cleaners so far. Enjoyed working with her. So professional and detailed. Thanks so much brianna for the wonderful service. Natasha was meticulous and did a fantastic job. I highly recommend her. She was professional, friendly and clearly takes pride in her work! I wild appreciate having everything put back close to where it was after cleaning and dusting. Very strong chemicals used as well. Todd has been cleaning my house for almost a year now! I couldn’t be more thrilled with his work every time! He’s so kind (and so sweet with our kitties)! My little guy always looks forward to seeing the little scenes Todd will put his toys in. And my husband says we can’t live without him! Perer helped me get all if the common areas in my home in order in the very first visit. Highly recommend! My place is now immaculate, it feels brand new. Amanda did a great job and was very responsive to my particular requests. First booking with Giovanna and I’m so glad I decided to use this service! My apartment is cleaner than it was when I moved in, it’s truly appreciated. Best cleanjng we have had. Thanks so much. Any particular day/time good for future cleanings weekly. She's very thorough and detail oriented, very sweet and professional. I highly recommand her if you are looking for a house cleaner. Why use Handy when you need home cleaning in Seattle? Probably the most significant advantage of booking house cleaning services in Seattle through Handy is the time you’ll save. Instead of running around vacuum cleaning and mopping the floor, you’ll have more time to do the activities you really enjoy. Book a Seattle home cleaning service with the Handy app or on our website and we’ll help arrange a suitable time for a home cleaner to come to your home and help out. All house cleaners and housekeeping professionals on the Handy platform are vetted and will provide a thorough clean of your home, whether you’re booking the first clean you’ve had in a long time, or it’s just part of your regular, recurring house cleaning service. Bookings are covered by our Handy Happiness Guarantee, which means that we’ll do what we can to make sure the job is completed to your satisfaction. We know your experience matters, which is why we work hard to find the best match for your home every time. Cheap home cleaning services in Seattle booked through Handy are an excellent value -- just compare them to other house cleaners in Seattle. We believe the best cleaning services should be an affordable luxury. Allowing a Seattle home cleaning pro to take care of all your cleaning tasks frees up more time than you’ll know what to do with. Does it feel like it’s been ages since you’ve spent an afternoon with your kids? You’ll have more time to cook, dine out at your favorite restaurant, or catch a movie at the theater. Just enter your zip code above and get started finding the perfect cleaner near you. 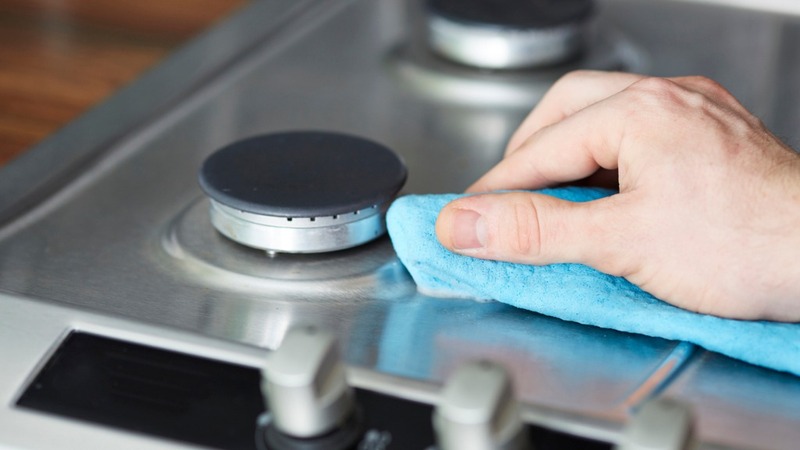 We can also arrange cleaning extras for a small additional charge, like oven cleaning! Who can benefit most from house cleaning in Seattle? If you’re looking for cheap cleaning services in Seattle to get your home or apartment ready for a party or just to restore balance to your life, look no further. We can connect you with house cleaning services no matter where in Seattle you live, from centrally located areas like Capitol Hill, Queen Anne, and International District, to suburbs like Magnolia, West Seattle and Beacon Hill. If you live in an apartment, we know you hate picking up after your roommates -- let a house cleaner booked through Handy take care of the mess for you. We help you strike a better work-life balance, so you can make more time for the things you love. That’s just one of the reasons why people choose Handy to book Seattle house cleaning services again and again. By booking top-rated Seattle cleaners, you’ll have more time to enjoy one of America’s great cities. Instead of mopping and vacuuming, make time for some culture by exploring the latest exhibits at the Museum of History & Industry or the Seattle Art Museum. Or why not go on a romantic boat excursion across Puget Sound this weekend if it’s a rare sunny day? If you have children and pets, you may find it challenging to keep on top of your home cleaning chores when you’re commuting every day. With house cleaning services in Seattle booked through Handy, you get the best of both worlds. A clean home for your family and guests, and more time for leisure and relaxation. That’s why homeowners and tenants alike are consistently satisfied when they use Handy to find house cleaning. There’s one Starbucks for every 4,000 residents in Seattle. We know you love your coffee, so get out there and order an espresso instead of mopping this evening. Look forward to a clean home when you book a home cleaning in Seattle. Here at Handy, our job is to connect you with the best cleaning services in Seattle, no matter where you live in the city.